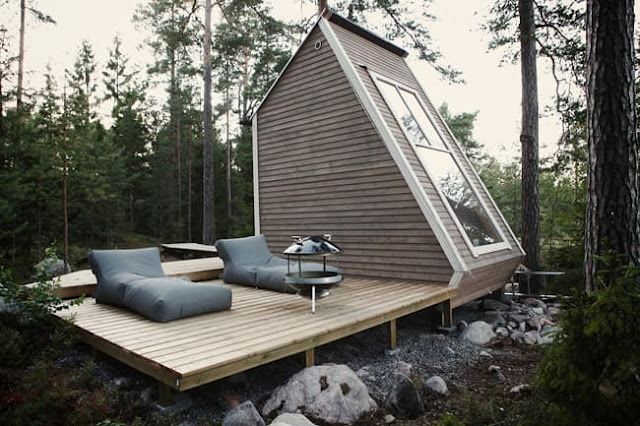 Meet "Nido", a micro-cabin in the forests of Finland. The home, whose name means "bird's nest" in Italian, was created by designer, Robin Falck, as a retreat. 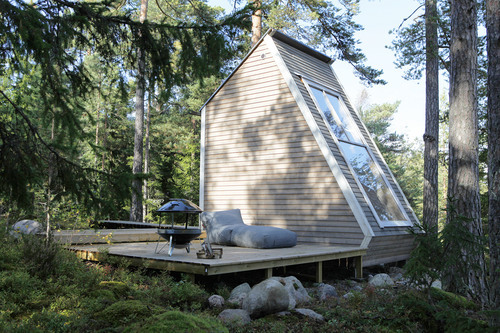 The home measures 96-square-feet, with a loft bedroom measuring 50 sq ft. 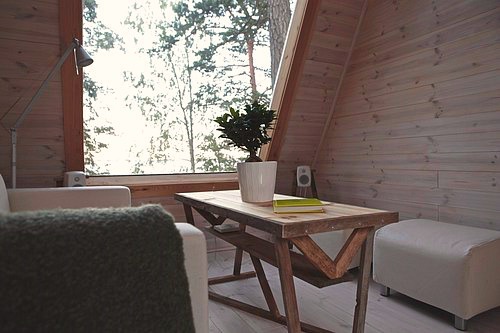 There's a lounge and micro-kitchen on the first floor, and a bedroom on the second level. 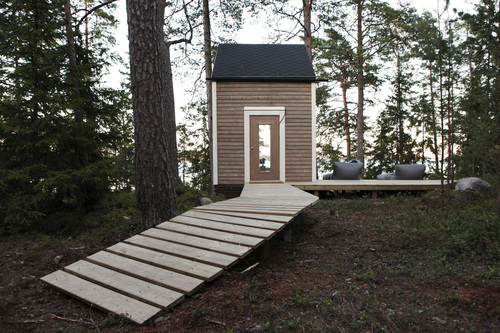 The home is so small, it didn't even need a permit to be built. 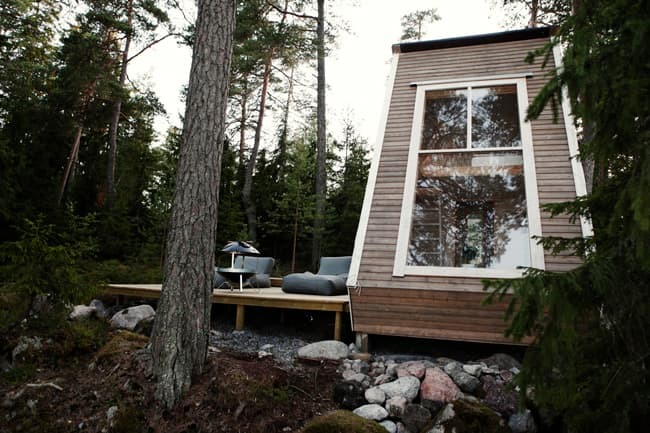 Finland's housing regulations stipulate that a building permit is not necessary if the building is smaller than 96 or 128 square feet, depending on where the structure is built. Falck used recycled materials for the majority of the project, spending only about $10,500 USD. The home took about two weeks to put together. 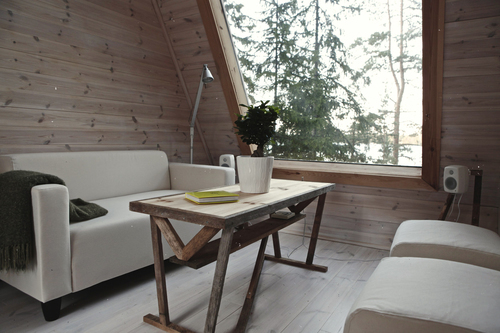 The house is wrapped in a spacious porch for outdoor relaxing. A perfect addition for the lakeside home, which certainly offers beautiful views of Finland's wilderness. 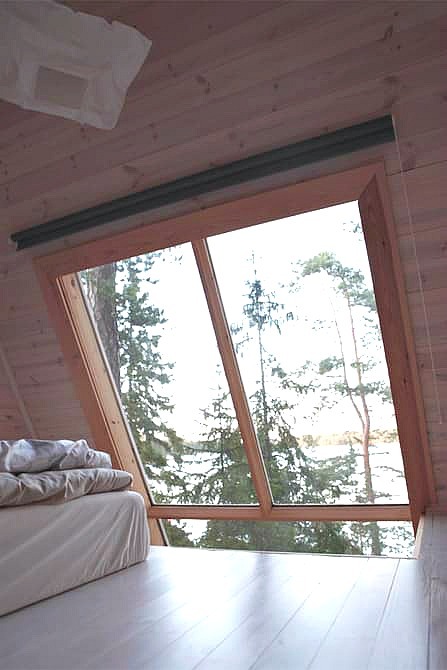 The angle and windows of the home allows for plenty of natural light to be let into the home during the day, and a view of the stars at night.